We got Jake when he was 8 weeks old from New Skete Monastery in Cambridge, NY last December. 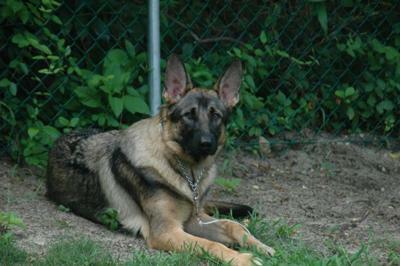 The picture attached is when he was 7 months old, he looks very regal. He is now over 95 pds. 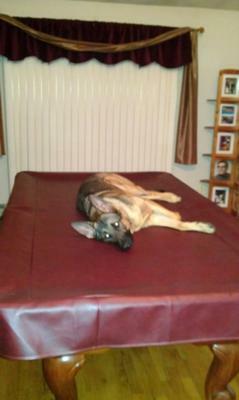 I attached another recent picture that is very funny, he discovered that he has a pent house suite on the pool table! LOL! Boy, he is so big already at 7 months. He looks so strong and protective now. Take care of you "little puppy" and he will take care of you!